Culture, craft beer and a little retail therapy: modern-day Glasgow has evolved greatly from its industrial past. Join Gavin D Smith for a whirlwind, two-day tour of the city’s essential attractions, and food and drink hotspots. Glasgow is Scotland’s largest and most diverse city, once at the heart of the country’s industrial might. Since the decline of traditional heavy industry during the second half of the 20th century, Glasgow has, to an extent, reinvented itself as a major cultural and tourist destination. 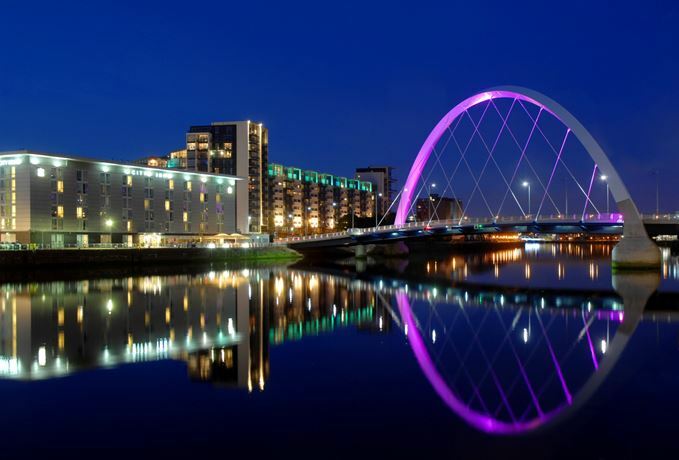 The Lonely Planet Guide lists Glasgow as one of the top 10 tourist cities in the world. Start off with one of Glasgow’s high-profile heritage attractions, such as The Burrell Collection, assembled by Glasgow shipping magnate Sir William Burrell, and located in Pollok Country Park. It showcases a fascinating range of paintings, sculptures, furniture and exotic artefacts from all over the world. You’ll find it at Pollokshaws Road, Glasgow G43 1AT. Kelvingrove Art Gallery & Museum in Argyle Street was established in 1901, and between 2003 and 2006 underwent a £28m refurbishment programme. It is the largest civic museum and art gallery in the UK, and houses collections of international importance. One of Glasgow’s newer attractions is the Riverside Museum at Pointhouse Place, which is home to over 3,000 objects that detail Glasgow’s heritage. It’s a rich and varied collection to satisfy fans of everything from paintings to prams – and even includes a storm-trooper. If all that history and culture leaves you with a thirst, head to the Willow Tea Rooms at Sauchiehall Street, designed by Charles Rennie Mackintosh (1868-1928). Glasgow is closely associated with the celebrated artist, and some of his finest work can be seen in his home city. Willow Tea Rooms’ Room de Luxe, with its original doors, windows and mirrors, is rightly regarded as a great example of his work. The Tea Rooms also serves a mean Scottish Rarebit and afternoon tea. For a lunch with a difference, and a ‘proper’ drink, make your way to historic Glasgow Green, where you’ll find West. This is an authentic German brewery and bar situated in an architecturally spectacular former carpet factory, offering great Bavarian-style beers such as Hefeweizen and Munich Red, plus true German cuisine. Such is the demand for West’s beers that a new, £4m brew-plant is now being installed, while a second West outlet has recently opened in Woodlands Road in the city’s West End. West on the Corner offers a 120-seater bar and restaurant serving around 10 of West’s beers. With some good Bavarian beer and food under your belt, spend the afternoon strolling around the city centre and indulge in some retail therapy. The biggest brands and major retailers can be found in Glasgow's ‘Style Mile’. The square in the very centre of the city is home to a great selection of malls, independent boutiques, designer stores and speciality shops. With over 1,500 outlets, Glasgow is a shopper's paradise, recognised as the second-largest retail centre in the UK and home to the best shopping experience outside London’s West End. For the shopper with whisky in mind, there are branches of The Whisky Shop in two of the city’s leading retail destinations – Buchanan Galleries and Princes Square – while Robert Graham Ltd can be found in West Nile Street. Meanwhile, The Good Spirits Co in Bath Street offers tastings and masterclasses, and claims to stock Glasgow’s best selection of malt whisky, rum, gin and cigars. When it comes to a post-shopping, pre-dinner drink, head for The Horseshoe Bar in Drury Street. The pub’s history dates back to 1846, and this characterful Glasgow ‘local’ boasts a rare horseshoe-shaped island bar and several local cask ales. Thirst duly quenched, make your way to the West End and Number 16 restaurant on Byres Road – an intimate eaterie which is the essence of a really good neighbourhood restaurant with modest prices. If your tastes run to fine dining, opt for Brian Maule at Chardon D’Or in West Regent Street – probably the most established fine dining establishment in the city centre, offering Scottish ingredients with a classic French twist. If you fancy a post-dinner dram, The Ben Nevis in Argyle Street is handy if you’ve dined at Number 16 on Byres Road. It’s a friendly, traditional sort of place, with regular folk music sessions and 180 whiskies in stock. The Bon Accord in North Street is a more central alternative, boasting in excess of 350 malts and some of the most knowledgeable staff you’ll ever find, having been trained at Auchentoshan distillery. The Bon Accord also boasts that it offers an annual rotation of up to 900 beers. For many, however, the ultimate Glasgow whisky bar is The Pot Still, a city centre institution in Hope Street which claims to host ‘the finest collection of malt whisky in Scotland’. A classic bar from a design point of view, with regular whisky tastings and a very decent pint of cask ale, too. Begin day two with a visit to Auchentoshan distillery, the closest malt whisky distillery to Glasgow, and located at By Dalmuir, Clydebank. Founded in 1823, it’s the only distillery in Scotland still practising full triple distillation. There’s a choice of tour options and a well-stocked shop. Glasgow boasts a proud whisky heritage, having been home to seven distilleries over the years, but today only Chivas Brothers’ Strathclyde grain distillery in Moffat Street remains operational – and that’s not open to the public. The city has also long been a centre for blending and bottling, with malt whisky shipped on the River Clyde from distant distilleries in the days when the Scottish road network was comparatively primitive. Malt whisky production made a comeback to the city in 2015 after an absence of 112 years, when The Glasgow Distillery Co – headed by Liam Hughes and distiller Dr Jack Mayo – fired up its gin and whisky stills in an old warehouse just off the M8 motorway. The firm’s Makar Gin can already be sampled in most of Glasgow’s better bars. This distillery is not open to the public, but plans are in place for independent bottler AD Rattray to develop the historic Pump House building beside the River Clyde, and next to the Riverside Museum, into a malt whisky distillery and visitor centre at an estimated cost of £10m. Hungry for lunch after that whisky detour? Then make for Drygate’s Vintage Craft Beer Bar & Kitchen near Glasgow Cathedral in the East End. Here you will encounter modern British cooking created by ‘craft chefs’, accompanied by a wide selection of beers brewed on the premises. Drygate is a joint venture between Williams Bros Brewing and Tennent’s lager owners C&C Group, and is virtually next-door to Tennent’s vast and historic Wellpark Brewery – Glasgow’s oldest ongoing commercial operation – which hosts regular tours. A Wellpark tour embraces everything from refining the ingredients to mashing, malting, brewing, kegging, bottling and canning. It lasts around one hour, but after seeing all that beer being produced you can at least sample a complimentary pint of Scotland’s most famous lager. Glasgow Cathedral is a magnificent presence in the East End of the city. The first stone-built cathedral on the site was dedicated in the presence of King David I in 1136, and the present building was consecrated in 1197. You’ll find it in Castle Street. For dinner, consider the modern Scottish tapas style offered by the Ox and Finch in Sauchiehall Street, one of the hippest places in town and located in the Finnieston district, which is currently Glasgow’s ‘restaurant central’. An intriguing alternative is Scotland’s only Russian restaurant – Café Cossachok, situated in the heart of the Merchant City area in King Street. Cossachok is famous not only for authentic Russian cuisine, but also for its cocktail list, which (not too surprisingly) majors in vodka. If you fancy mixing your drinks before bed, Glasgow still has plenty of great whisky bars to offer, including The Wee Pub at The Ubiquitous Chip in Ashton Lane. This classy yet friendly establishment boasts 150 single malts. Another excellent place to quaff a dram, this time in the Merchant City district, is Arisaig in Merchant Square. On offer are more than 100 malts, some notably rare, and a fine cobbled terrace on which to consume them. Direct trains link most major British cities to Central Station. Edinburgh is 30 minutes away by rail, and services from Queen Street Station are frequent. Buchanan Street Bus Station is the terminus for long-distance coaches and has frequent bus services to Glasgow International Airport. Glasgow International Airport is seven miles from the city centre, and close to the M8 motorway which, along with the M74 to the south, provides two of the principal road links to the city. Citizen M (Renfrew St): A new, fresh and funky take on hotels. Hotel Indigo Waterloo Street (Waterloo St): Chic, Glasgow-themed boutique hotel created in a former Victorian power station. The Abode Glasgow (Bath Street): Former Edwardian townhouse, recently refurbished and rebranded, but with lovely old period features throughout. Grasshoppers Hotel (Union Street): One of Glasgow’s newest hotels. Truly stylish, and with a great penthouse location above Central Station.